1. What is the Family Responsibility Office? 2.What ARE Family Court Forms? 3. What are Family Law Rules? 4. What are the Child Support Guidelines? 5. What is the Family Law Act? 6. what is the Divorce Act? 7. what is the Children’s Law Reform Act? 8. what is the Office of the Children’s Lawyer? 9. what is Our Family Wizard? 10. what is the Family Law Information Centre? 11. what are Custody & Access Assessments? 12. what is the Voice of the Child Report? The Family Responsibility Office, often referred to as FRO, is a government agency that enforces support payments pursuant to a Court Order or Separation Agreement. This means that if you have a proper written agreement or a Court Order requiring the payment of Child Support or Spousal Support, FRO will help ensure that these payments are actually made. FRO has many powers to help enforce these payments. FRO can garnish wages (which means taking money directly from the payor’s employer before (s)he receives it), garnish government benefits (such as seizing Income Tax Return Refunds), force payors who do not pay to attend court and explain to a judge why they are not paying, suspend payors’ Driver’s Licence and Passport until support is paid, and even put payors who do not pay support in jail. All Court Orders for Child or Spousal Support will be sent to FRO for enforcement. When such Orders are made, the court staff will give you or your lawyer forms to complete to help FRO enforce the ordered support payments. It can take several weeks, or even months, for FRO to start enforcing support payments once an Order is made. If you have a proper written agreement about support payments, this agreement will not be automatically sent to FRO for enforcement. If you would like FRO to enforce your agreement, you can file your agreement with the courts for enforcement. Once your agreement is properly filed with the courts and sent to FRO, FRO will proceed to enforcement payments. FRO can only enforce payments outlined in a Court Order or proper written agreement; FRO cannot determine the amount of support that should be paid. If you and your ex cannot agree upon the amount of support payable, FRO cannot help you until you reach such an agreement, or a Court Order for support is made. If you would like help creating an agreement that FRO can enforce, contact us to schedule a free consultation. For more information about FRO, you can visit their website at: https://www.mcss.gov.on.ca/en/mcss/programs/familyresponsibility/welcome.aspx. If your matter goes to court, there are many different forms that you will have to complete, serve on the opposing party (or parties), and file with the courts. For example, there are forms for starting a Court Action (called an Application) for responding to a Court Action (called an Answer), and for replying to a response to a Court Action (called a Reply). If you already have an Order or Agreement, then these forms may not apply, and you may need an entirely different set of Court Documents. In addition, you may have to complete, serve, and file other court forms to go with your Application or Answer, such as a Financial Statement (a court form that tells your ex and the Court all about your financial situation), an Affidavit in Support of Claim for Custody or Access (a court form that tells your ex and the Court about your plan to care for any children that you have), and a Certificate of Financial Disclosure (a court form which lists all of the important documents that you have given to your ex for the purposes of your Court case). These are only the forms that are required to start or respond to a Court Action. Different forms must be completed, served, and filled for each Court attendance. For example, if you are going to a Case Conference you will need a Case Conference Brief, and if you are going to a Motion you will need an Affidavit, and possibly a Notice of Motion as well. These are just a few examples of the many Court forms that you may need. You can find many of the forms that you will need to complete if your matter is in court online at http://ontariocourtforms.on.ca/en/family-law-rules-forms/. These forms can be completed on-line and saved to your computer for future reference. If you prefer, you can print them out and fill them out by hand. If you would like help completing these forms, please contact us to schedule your free consultation. what are Family Law Rules? The Family Law Rules is a piece of legislation that tells you all of the rules that you must follow if your case is in Court. The Family Law Rules cover such topics as which forms you must complete when, how to properly serve court documents, which Court you should go to, what information you have to give to whom and when, the potential effect of Offers to Settle on your case, and what evidence you should prepare for Trial. If you do not have a lawyer, it is important that you are aware of the Family Law Rules and that you follow the rules outlined in them. If you do not follow these rules properly, then a judge may refuse to hear your case or you may be required to pay costs to your ex, which means that you may have to pay a portion of his/her legal fees or other expenses. The Family Law Rules are available online at: https://www.ontario.ca/laws/regulation/990114. If you have any questions about the Family Law Rules, call us to schedule your free consultation. The Child Support Guidelines is legislation that helps determine who should pay how much Child Support. There are Federal Child Support Guidelines which apply all over Canada, and Ontario Child Support Guidelines that only apply to Ontarians. The main purpose of the Child Support Guidelines is to establish a fair amount of support payable for your children to help ensure that they will benefit financially from their parents’ incomes. Another objective of the Child Support Guidelines is to help reduce conflict between parents by making the amount of Child Support payable as clear as possible. It is important that you follow the Child Support Guidelines when resolving the issue of Child Support because if you do not, then the courts may prevent you from obtaining a Divorce and any agreement that you make may be considered unenforceable if it does not comply with these Guidelines. Essentially, the Child Support Guidelines help protect children’s right to financial support from their parents, and try to make the calculation of Child Support payments as easy as possible. Unfortunately, this issue can only be made so easy because there are many important issues relevant to the amount of Child Support payable, such the parents’ income, how much time each parent spends with the children, which of the children’s expenses must be shared by the parents and how such expenses should be shared, and how parents’ income for Child Support purposes should be calculated. You can find the Ontario Child Support Guidelines at https://www.ontario.ca/laws/regulation/970391. If you have any questions about the amount of Child Support that may be payable for your children, contact us to schedule a free consultation with a lawyer. What is the Family Law Act? The Family Law Act is an Ontario Statute that outlines many or the rights and obligations people have when their relationship comes to an end. The Family Law Act covers such topics as who should pay Child Support, who should pay Spousal Support, how property should be divided, who has which rights to a Matrimonial Home, and whether you or your ex can obtain a Restraining Order. The Family Law Act also defines and regulates agreements between spouses and parents, such as Marriage Contracts, Separation Agreements, and Paternity Agreements. Some sections of the Family Law Act only apply to married couples who are separated, while other sections apply to all separated families, regardless of whether they are married. The Family Law Act can be found at: https://www.ontario.ca/laws/statute/90f03#BK86. If you have questions about how the Family Law Act might apply to your case, call us to meet with a lawyer. What is the Divorce Act? The Divorce Act is the statue that allows you to obtain a Divorce. The Divorce Act addresses many other issues for people who want to separate from their husband or wife, such as who should pay how much Child or Spousal Support, and how decisions regarding any children that you have should be made. The Divorce Act is federal legislation, which means that it applies all over the country; however, it does not apply to people who did not marry. You do not have to obtain a Divorce if you want to separate from your spouse, but you cannot remarry unless you have a Divorce Order and a Certificate for Divorce. When you obtain your Divorce can affect other issues in your case, and other issues in your case can determine whether you will be granted a Divorce. For example, if you have children, then a judge can refuse to grant you a Divorce until you resolve all of the parenting and Child Support issues. Also, obtaining a Divorce may affect your rights to live in the Matrimonial Home. These are just two examples; there are many others. You can find the Divorce Act at: http://laws-lois.justice.gc.ca/eng/acts/D-3.4/. If you have questions about how the Divorce Act may apply to your case, contact us to schedule a free consultation. what is the Children’s Law Reform Act? If you are a parent considering separation or Divorce, then the Children’s Law Reform Act will likely apply to you. The Children’s Law Reform Act includes a detailed list of factors to be considered when making decisions regarding your children, such as who they will live with when and who will make important decisions about them. The Children’s Law Reform Act outlines some of your options if you cannot agree about how to resolve these issues, such as how to obtain appropriate reports about what is best for your children and when a judge can order you to attend mediation. The Children’s Law Reform Act addresses many other important issues for separated parents, such as whether you can apply for a Restraining Order to keep someone away from your children, and how you can get your children back if someone unlawfully keeps them from you. You can find the Children’s Law Reform Act at: https://www.ontario.ca/laws/statute/90c12?search=e+laws#BK55. If you want to learn more about how the Children’s Law Reform Act may apply to your children, call us to schedule a free consultation. what is the Office of the Children’s Lawyer? The Office of the Children’s Lawyer, often referred to as the OCL, is a government agency that can represent your children during a Court Action that involves issues of Custody, Access, or Parenting Time. The OCL can also provide you and the Court with a report that can include recommendations for how to resolve these issues. If you would like the OCL to assist your family, then you must ask a judge for such an Order. Judges can make Orders requesting the involvement of the OCL. Once the judge makes such an Order, you will have to complete an OCL Intake Form and provide it to the OCL, along with other important documents such as any Custody, Access, or Parenting Time Orders or Agreements. Once the OCL receives this Form, the OCL will decide whether to become involved in your case. This means that the OCL can decline to assist in your matter even after an Order requesting OCL involvement is made. If is important that you complete your OCL Intake Form on time because if you do not, the OCL may decline to assist in your case. If you want the OCL’s assistance, you must start a Court Action. The OCL will not become involved with your family if your matter is not in Court. The OCL can provide you and the Court with important information to help resolve parenting issues, such as finding out what is important to the children, what may be best for them, and collecting relevant information from people involved with your children. The OCL can also obtain information from other agencies involved with your family, such as the police or the Children’s Aid Society. You can find out more about the Office of the Children’s Lawyer at: https://www.attorneygeneral.jus.gov.on.ca/english/family/ocl/. If you have questions about whether the OCL can help you, contact us to schedule a free consultation. What is Our Family Wizard? Our Family Wizard is an app that many separated parents use to communicate with each other about their children. You can download it on your computer, phone, or tablet. It has a calendar to help you inform each other of your children’s activities and important event, keep track of who should be spending time with the children when, and a messaging system to help you communicate with your ex, which is especially helpful when you cannot communicate effectively in person or on the phone. Our Family Wizard can help reduce miscommunication, keep you organized, and prevent your children from feeling as though they have to relay information between their parents. It can also help you make payments towards your children’s expenses. If you think Our Family Wizard might be helpful for you, you can find out more about it at https://www.ourfamilywizard.com/. what is the Family Law Information Centre? 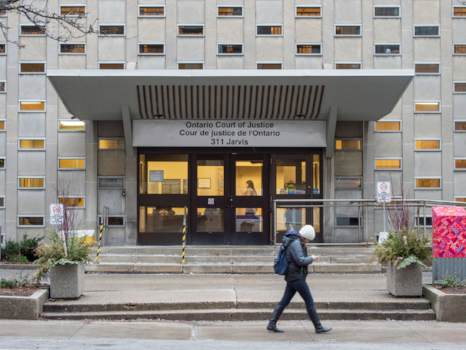 The Family Law Information Centre, or FLIC, is a government service available in courthouses across Ontario that is associated with Legal Aid Ontario. FLIC provides people with information about the family law court system. Depending on whether you meet certain financial criteria, FLIC staff can give you important information about your family court case, provide you with summary legal advice, and even review court documents with you. FLIC staff can also help connect you with community services that may be helpful to you, such as medication services, counselling options, and supervised access centres. For contact information for the FLIC office closest to you, visit: https://www.legalaid.on.ca/en/getting/type_familylawinformationcentre.asp. If you do not qualify for advice from FLIC and would like to meet with a lawyer to discuss your case, please call us to schedule a free consultation. what are Custody & Access Assessments? Custody & Access Assessment are reports completed by qualified mental health professionals to help you resolve the parenting issues in your case. While preparing this report, the Assessor will meet with you, your ex, the children, and others involved with your family, such as the children’s teachers. The report will make recommendations for how to resolve the parenting issues in your case, such as who will spend time with the children when, and who will make which decisions regarding the children. Custody and Access Assessments can be very helpful when you and your ex cannot decide upon whose plan to care for the children is best. They can also be helpful when you and your ex have very different perspectives relevant to resolving these issues, making it difficult to determine who is telling the truth, or whether the children are saying very different things to each of you. Custody and Access Assessors are privately retained, which means that you and your ex must either agree upon who to hire to conduct the Assessment, or have someone else (such as a judge) decide for you. The main benefits of hiring an Assessor, as opposed to seeking an appointment of the Office of the Children’s Lawyer, is that you and your ex can choose the Assessor (as opposed to having someone appointed to work with your family), the Assessor will be available to work with your family (as opposed to waiting to see if the Office of the Children’s Lawyer will be able to assist you), and you do not have to be in court to hire an Assessor. When hiring an Assessor, you should look for an experienced professional who has received appropriate training. The Assessor should also be a member of the governing body for his or her profession (e.g. a registered social worker or psychologist). During an Assessment, the Assessor will meet with you, your ex, and your child(ren). The Assessor may also speak with others involved with your family, such as other family members, new partners, teachers, or medical professionals. If you have questions about whether a Custody and Access Assessment is right for your family, contact us to schedule a free consultation. what is the Voice of the Child Report? The children’s true views and preferences may be an important factor when resolve parenting issues. Children do not decide how to resolve these issues, but knowing what the children want and why, and what is important to them, can help parents work together to create a Parenting Time Schedule that works best for the children. If parents still cannot reach an agreement, this information can help judges or arbitrators make important decisions regarding your children and their care. It can be difficult to understand what your children truly want, and why. Children may tell you one thing, and your ex another. Children may not want to discuss this with their parents because they do not want one parent to feel as though they are choosing one parent over another. Also, it can be difficult to have appropriate conversations about these sensitive topics with your children without accidentally involving them in adult conflict or legal issues. This is where the Voice of the Child Report can help. A qualified professional can speak with children to create a Report based on what they say and do. No recommendations will be made in this Report, but it can help you understand what your children really want, and can help determine if either parent is unduly influencing your children (intentionally or not). These reports are less time consuming and less costly than Custody and Access Assessments. If you have questions about whether a Voice of the Child Report could help your family, call us to schedule a free consultation.